This article describes how to use a combination of Adobe Digital Editions and iTunes File Transfer to transfer your ebooks to Bluefire Reader on your iPhone, iPad or iPod touch. Login-in to antrik.com account (if not logged-in) and click on "My Bookshelf" link available in the top right corner. 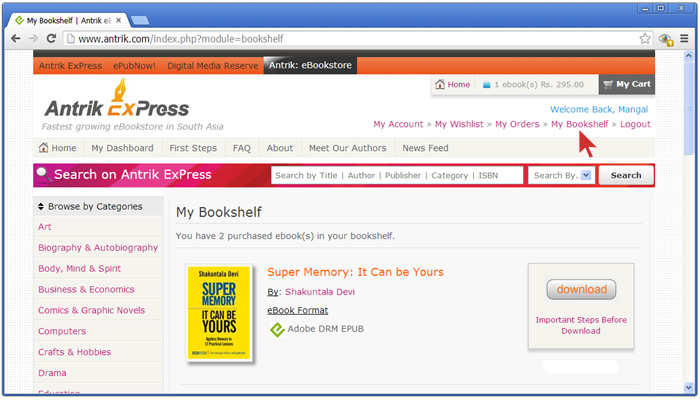 It will list your all purchased ebooks with downlaod button. When you click on download button from your bookshelf, what you are really downloading is an .acsm file. There is a lot of confusion about this file type as the .acsm is not your actual eBook. It is just a link to your eBook that allows a program like Digital Editions or Bluefire Reader to download the actual book. 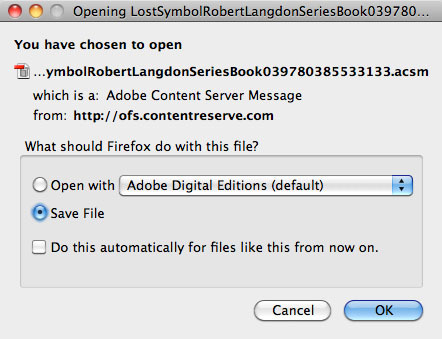 When you download the .acsm file you should be presented with the option to save the file or open it with Adobe Digital Editions. Choose Open with Digital Editions. When Digital Editions sees the .acsm file it will automatically download the PDF or ePUB file, which is the actual eBook, and then unlock the file's DRM so that it becomes readable. 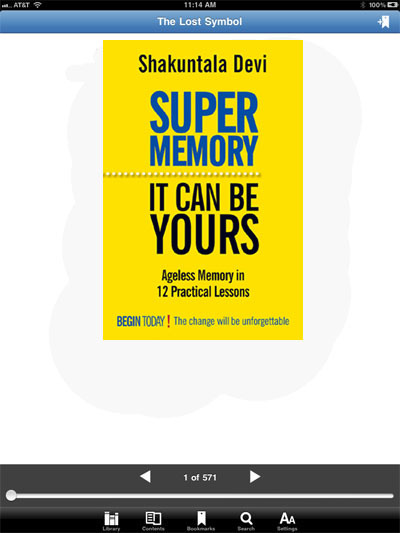 At this point you should be able to read the ebook in Digital Editions. Now that you have the ebook downloaded to Digital Editions you should be able to find the .epub or .pdf file and transfer it to Bluefire Reader. 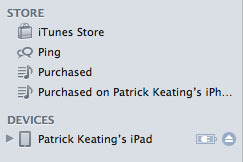 First, you have to find the eBook file. Again, this is a .pdf or .epub file, not the .acsm file. You can then open and enjoy your library book in Bluefire Reader. This concludes the article on transferring library books into Bluefire Reader. We hope that you enjoy your public library system and many hours of happy reading.